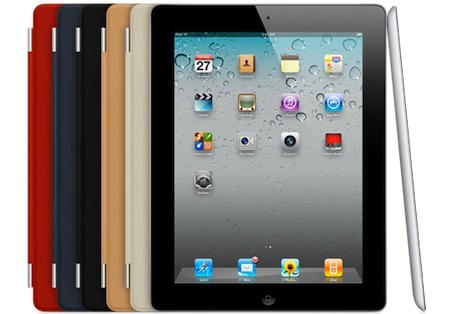 We have independently confirmed with several Apple Stores that additional shipments of iPad 2 will be available to purchase tomorrow morning. Several representatives at different Apple Stores told us of the expected shipment, and two popular stores said they are planning to open an hour earlier than usual at 9AM to accommodate the sales. Some Apple Stores to Open at 9AM, Not all Stores Getting Shipments? One store representative told us that demand has been huge and they are getting a large number of store visits and phone calls inquiring about the new iPad, adding that they are expecting lines to form early in the morning. If long lines do form again, you can be sure this iPad 2 shipment will sell out rather quickly, so the earlier you can get to an Apple Store the better. We will continue to update iPad 2 availability as we receive more information. If you want to check your local Apple Store, visit the retail store list and call them directly. I think all the big city stores will get shipments for tomorrow, every store I called in California said tomorrow morning. none in Charlotte NC either… was there at 8am.. small line… they gave us all free covers of our choice for telling us yesterday that they would have some today. Both Apple Stores in Palo Alto (Stanford, University Ave) report no shipments today. Went to Willow Bend Mall in Dallas on Tuesday, 3/15…not one ipad2 for second day in a row. I heard the Southlake store received 15. Obviously they had little inventory ready to ship beyond initial launch. I was very excited about this product and anxious to buy one. But now I am getting grumpy. It should not be so hard to buy this… almost seems as though the shortages are staged to make the product seem more in demand. I know, my cynical side has taken over. I totally agree. A great way to create demand is launch a product and have limited quanties the day of….then NO product now going on 3 days in a row. According to what I’m reading it sounds like the entire nation received 15 ipads this week so far. I love Apple but this launch has tamed my enthusiasm. Saturday after launch Biltmore Store in Phoenix, had about 10 of them. None since then, if you believe the sign they have posted. I was all ready to buy one, after visits to the store everyday, kind of over it.